It seems it is becoming the norm for point clouds to be used during the design process, so I thought that a quick post on how to generate native Revit topography from a laser scan source may be of interest. 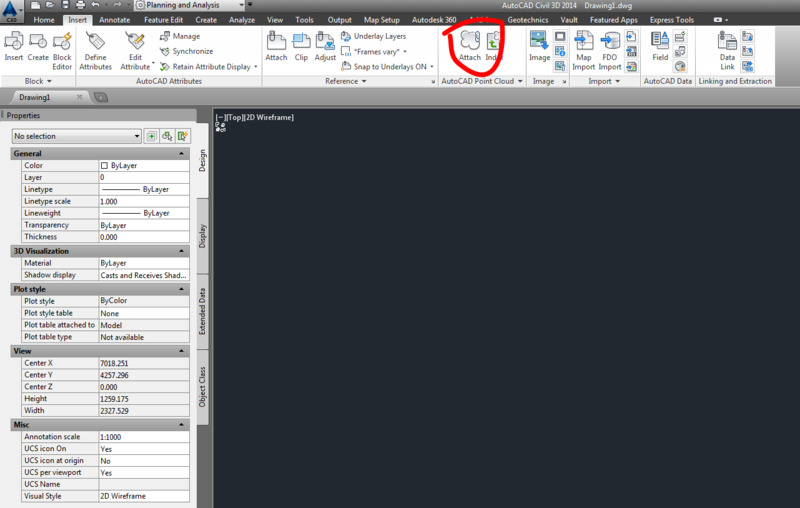 This method is only suitable if you have access to Civil 3D, Recap (or Project Momento), and obviously Revit! You can start with a range of file types, Recap supports 19 different ones. So get started by loading the scans into Recap. For this example we are removing everything that we don’t want in a topo – basically just leaving the ground intact. Use the window and fence selection tools to select and then delete unwanted points. If you turn off Perspective it may be easier to select points more accurately while cleaning up your scan. Make sure that you remove all of the unwanted points. 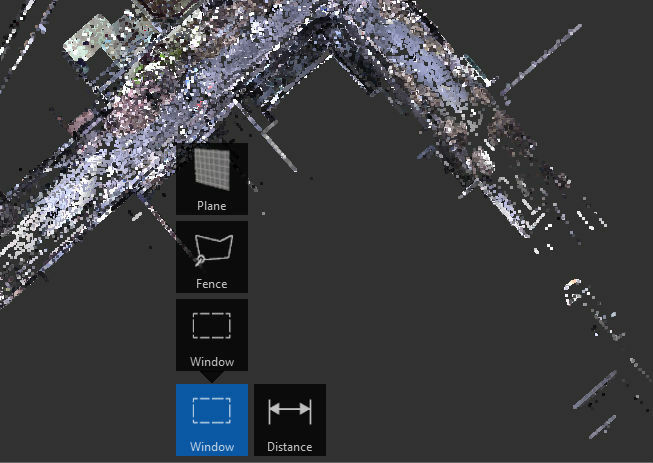 Once you are happy with the point cloud, export it as an .rcs or .pcg. For some reason a simple Save doesn’t seem to remember that you’ve deleted points and will load the complete original scan at the next step? Now open Civil 3D and Attach AutoCAD Point Cloud. 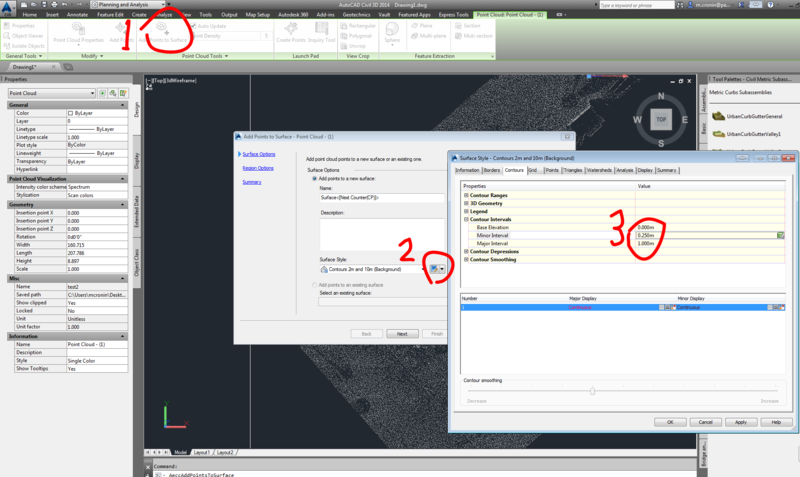 Next reduce the Point Density using the slider, after all you want the final topo to be manageable. It depends on the complexity of your scan data but I find that somewhere between 1 to 10 generally gives you good results. 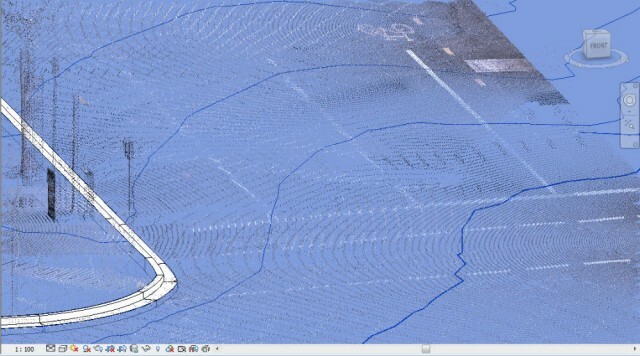 Then Add Civil 3D Properties to the point cloud. The next step is to Add Points to Surface, edit the Surface Style and adjust the minor and major contours as required. 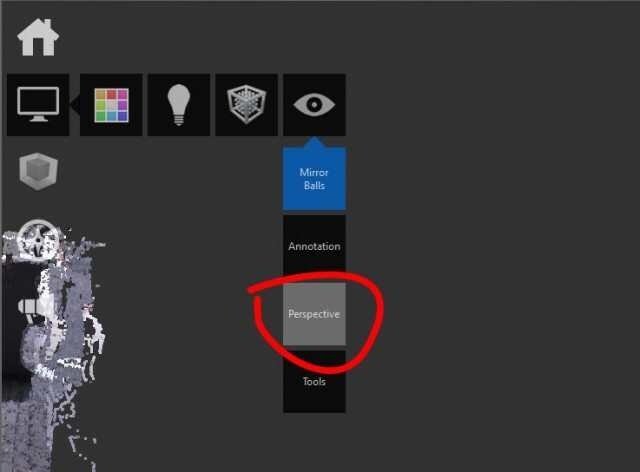 Whilst still editing the Surface Style, select the Display tab and turn Triangles off and turn Major and Minor Contours on. This produces your contours. Of course you could use Points instead of contours but we’ll continue with contours for this exercise. 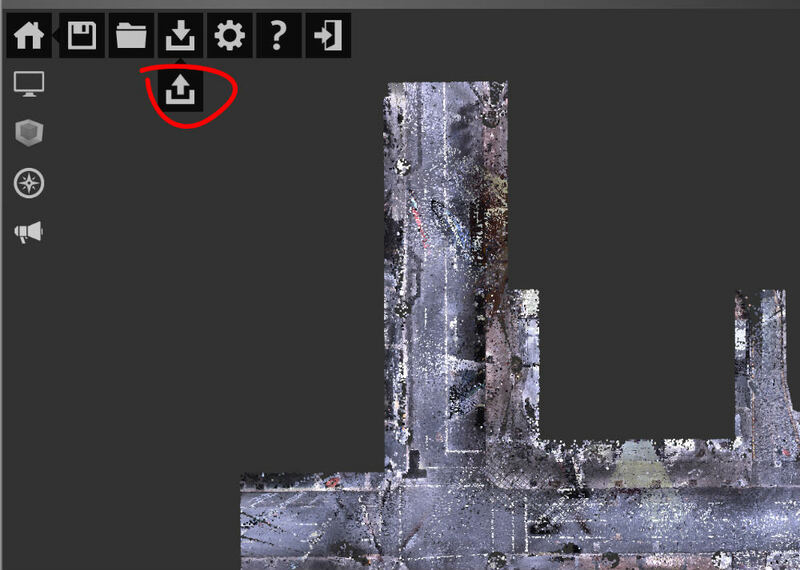 From here you can delete the point cloud and export the file as a .DWG. 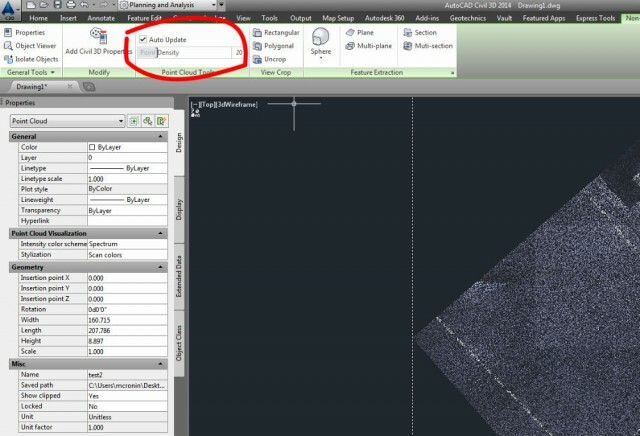 You can then clean up the contours, removing unwanted line work in either AutoCAD or just Extract (AutoCAD) Objects in Civil 3D and do it here. You may also wish to break up the contours on to different layers (e.g. road, footpath, etc.) 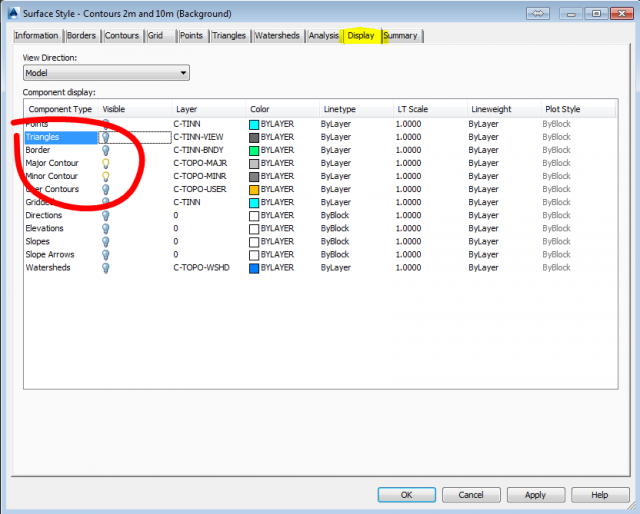 so that you have more control in Revit. 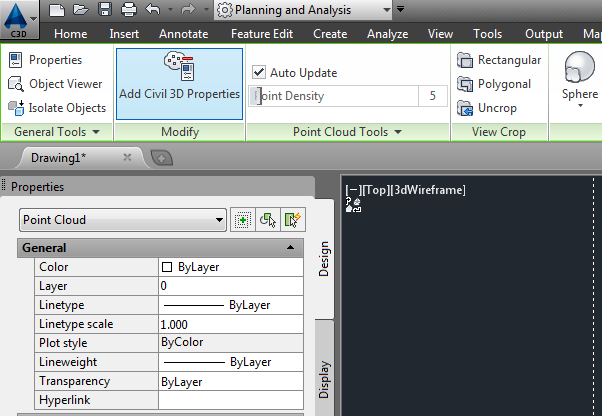 Once back in Revit use Link CAD to bring in your contour DWG, and generate a new topo using Toposurface >Create from Import > Select Import Instance. If necessary you can edit the topo points in Revit too. You’ll still need the point cloud in Revit to model buildings and street furniture, etc. It’s a very quick and easy workflow. 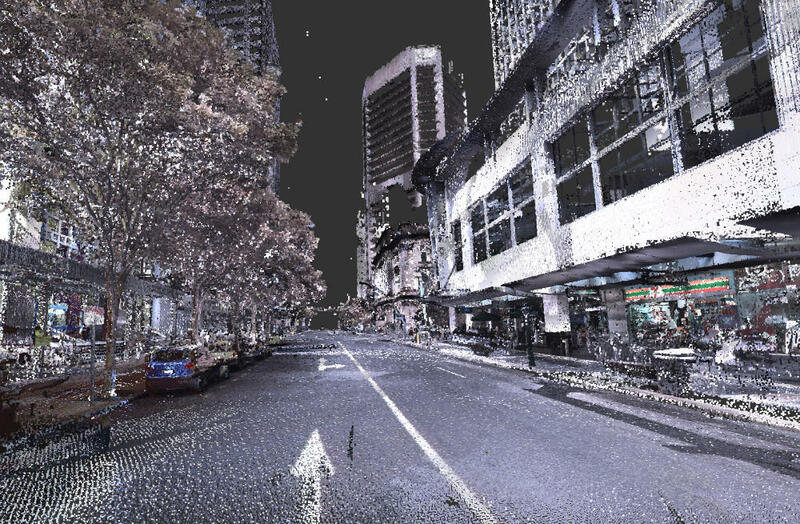 The longest part is cleaning the point cloud data (which varies greatly depending on quality and the nature of the site)! The results are more than acceptable, however, as with everything in Revit there may be an easier way, especially depending on the tools you have access to. If you know of one please share via the comments! Sharing (hopefully) better workflows to lead to a betterRevit for all! You’ve got an interesting workflow here. I’ve done the same thing in the past. 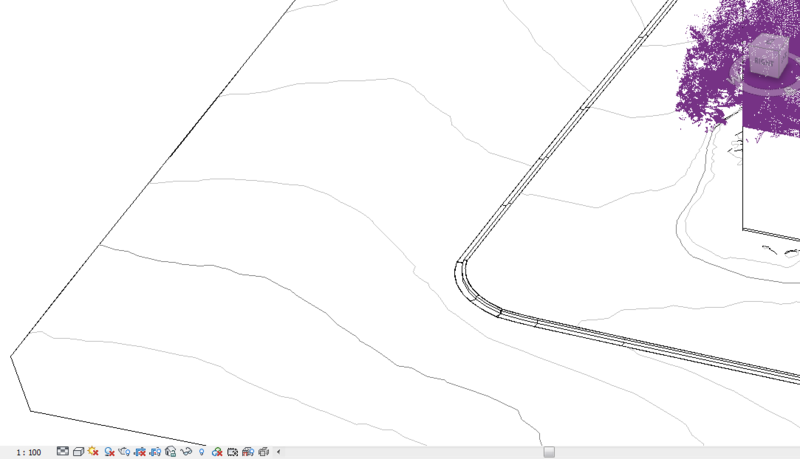 Civil 3D is pretty powerful. I’m working on an alternative workflow. 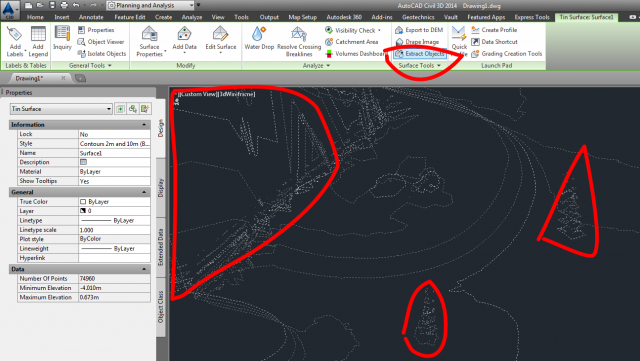 Highlight an area, and then produce your contour maps that exports directly into AutoCAD (it can be vanilla). Right now, it interfaces directly with FARO Scene, but I can easily make it just take in any old CSV file and create the contours that way. Getting rid of the Debris is still definitely a challenge to be overcome. I’m thinking of a similar technique employed by Realworks which does a “topography-based” sampling technique that automatically detects and removes debris by detecting sudden “jumps” in elevation in the point cloud; it’s worked out really well on concrete floors where you have random equipment and materials laying around, removing 95% of debris in a matter of seconds. This will hopefully remove the headache of manually going in and removing the debris one by one. Sounds very interesting Philip. Removing the need for Civil 3D would make the workflow much more accessible. Even partially automating the clean up process would be fantastic. Sounds like you are on to something there! Please keep us informed of your developments. 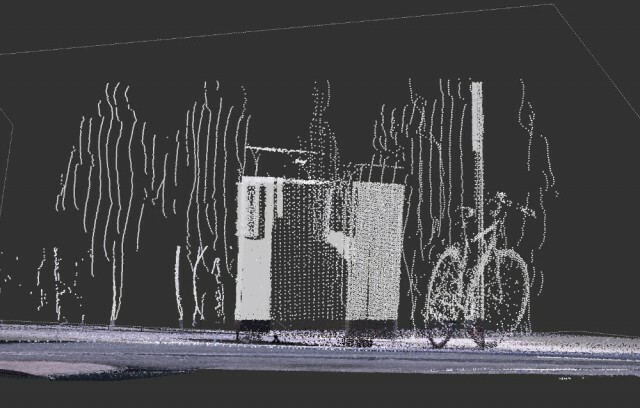 Here’s a screen-capture of the workflow I just recorded; everything takes less than 2 minutes from registered point cloud to AutoCAD deliverable. I’m currently open to beta users/suggestions. The Images look great – How did you do your Kerbing? Thanks Dwane. Kerbs are sweeps (in place) based on survey line work. Not ideal but the best solution for us so far. Would love to beta your Apps for FARO Scene! Please get in touch with me ASAP. Thank you Philip and mark for providing great work flows. it is very helpful. I’m very interested in your app. Could you provide more information please.